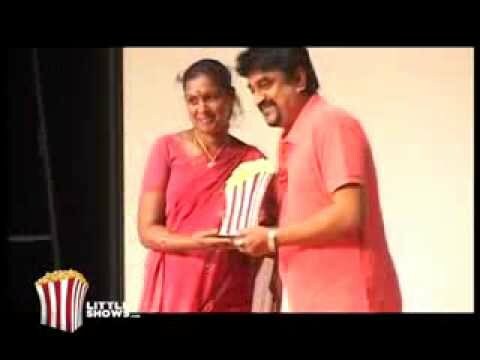 Littleshows short film Awards 2013 - Best Male Actor - Winner is Simhaa for "V-Chithiram" . The Nominees are Simhaa for "V-Chithiram" , Pandian for "Punnagai Vaanginaal Kanneer Elavasam" and Karthik for "Padmavyuham". 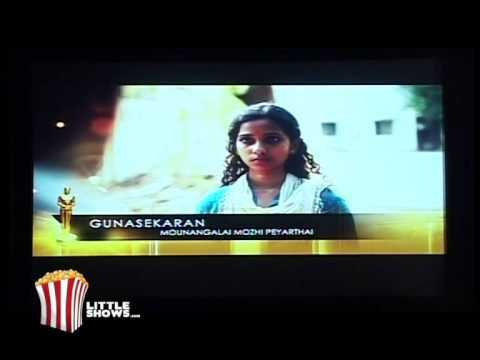 Littleshows short film Awards 2013 - Best Female Actor - Winner is Yamini for "Mounangalai Mozhi Peyarthai" . The Nominees are Yamini for "Mounangalai Mozhi Peyarthai" , Jaanaki for "Vaazhkai" and Vinodhini for "Navarasam". 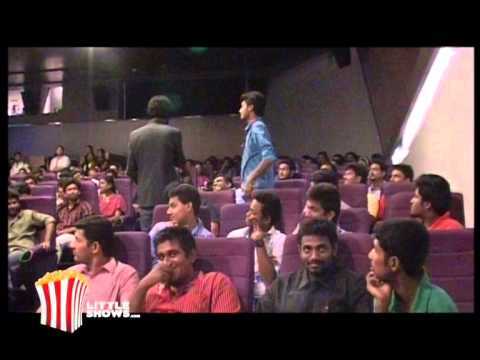 Littleshows short film Awards 2013 - Best Director - Winner is Deeraj & Ranga for "Navarasam" . The Nominees are Elan Pandian for "V-Chithiram" , Deeraj & Ranga for "Navarasam" and Akira Nithilan for "Punnagai Vaanginaal Kanneer Elavasam". Littleshows short film Awards 2013 - Best Music Director - Winner is Javid for "Sathish Chandrashekar" . The Nominees are Javid for "Sathish Chandrashekar" , Justin Prabhakaran for "V-Chitiram" and Gunasekaran for "Mounangalai Mozhi Peyarthai". Littleshows short film Awards 2013 - Best Editor - Winner is Shreeyas K S for "Yovaan" . The Nominees are Madhan for "Sathish Chandrashekar" , Baradhwaj for "Padmavyuham" and Shreeyas K S for "Yovaan". 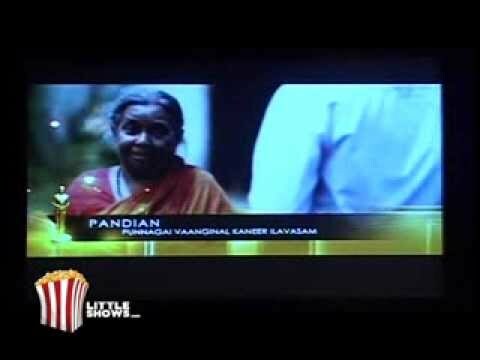 Littleshows short film Awards 2013 - Best VFX - Winner is Praveen Leonard for "V-Chithiram" . The Nominees are Praveen Leonard for "V-Chithiram" , Dheeraj Prasad for "Heart To Hell" and Livingston Mathew for "Oru Kutty Chowdhiyam". Littleshows short film Awards 2013 - Best Cinematographer - Winner is Krishnakumar for "Sathish Chandrashekar" . The Nominees are Sriniketh for "H2O" , Nehmia Jhonson for "Mounangalai Mozhi Peyarthai" and Krishnakumar for "Sathish Chandrashekar". 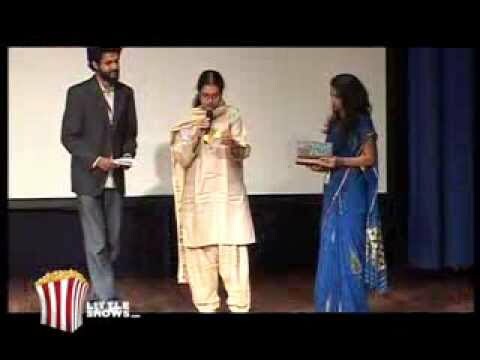 Littleshows short film Awards 2013 - Best Supporting Actor - Winner is Janaki for "Mallipoo" . The Nominees are Santha for "Punnagai Vaanginaal Kanneer Elavasam" , Janaki for "Mallipoo" and Alagu Sekar for "Piranthanaal". 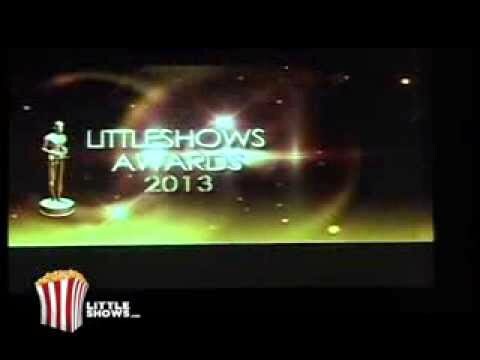 Littleshows short film Awards 2013 - Best Child Actor - Winner is Yogaboojitha for "Laya" . The Nominees are Yogaboojitha for "Laya" , Raja Rajeshwari for "Thamil" , Akku for "Oru Kutty Chowdhiyam" . 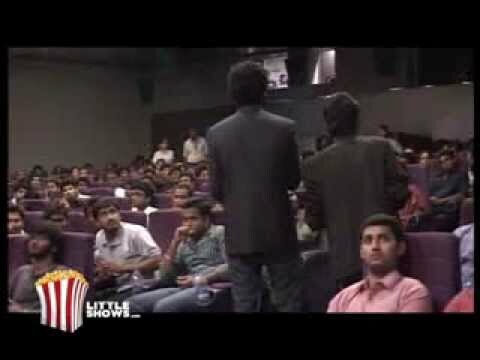 Littleshows short film Awards 2013 - Littleshows Promising Talent - Winner is Ram for "Pechi" . The Nominees are Santhosh Krishna for "Arimugam" , Fazrul for "Mounangalai Mozhi Peyarthai" and Ram for "Pechi". Littleshows short film Awards 2013 - Best Innovative Story - Winner is Fazrul for "Mounangalai Mozhi Peyarthai" . The Nominees are "Onnukulla Onnu" , "Mounangalai Mozhi Peyarthai" , "Yovaan" , "Me and Mr.Unknown" and "Ganesh Vs Yogesh". Littleshows short film Awards 2013 - Best Screenplay - Winner is Dheeraj Vaidy for "Padmavyuham" . The Nominees are Kamalakannan for "Uyir Udhir Kaalaam" , Jayachandran for "Mouna Mozhi" and Dheeraj Vaidy for "Padmavyuham". Littleshows short film Awards 2013 - Best Movie Taken For a Cause - Winner is Anirudh Raghav & Kaushik for "Democrazy" . The Nominees are Abhinav for "Mutrupulli" , Chibi Chakravarthi for "Saalayin Sagathigal" , Anbu Rajasekar for "Thaagaboomi" and Balaji Subramaniam for "14/6-A Day for Humanity". REGISTRATIONS are now open for Chennai's biggest Short Film Festival! SUBMIT your Short Film now and stand a chance to win cash, prizes and more worth Rs.1,00,000!! 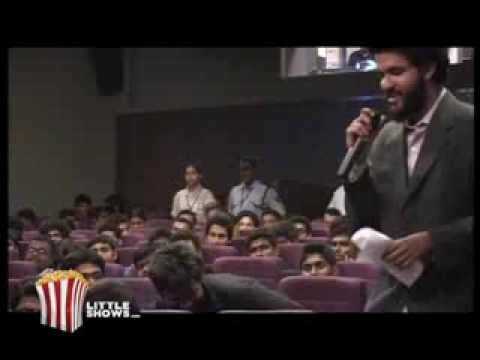 LITTLE SHOWS AWARDS 2013 - FOR SHORT FILMS. 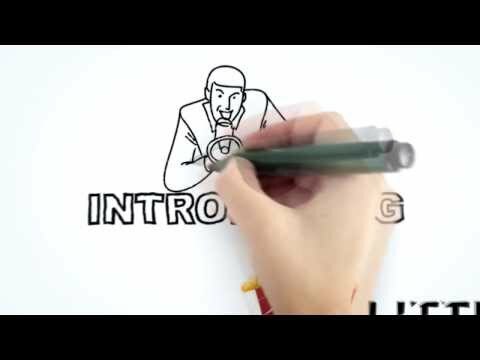 All you Short film directors/actors/Producers/music directors/fans out there.